​​This is the story of Alfred (Bunty) Preece of the Chatham Islands, soldier, farmer, local body politician, kaumatua and tireless advocate for his people. His recollections of the Italian Campaign of World War Two and the effect of those two and a half years were but the beginning of a lifetime of dedication to the welfare of others. The photograph at the book launch of Bunty Preece 0f 28 (Maori) Battalion. Bunty Preece with his son Alfred Preece, grandson Hayden Preece and great -granddaughter Ava Preece. Tears and cheers marked a ceremony at the Papanui RSA rooms yesterday. colours were "marched in". It was the last time the ceremonial marching in, performed by regular army squad. The cheers were for the launch of two new books - a reprint of the 1956 Official History of 28(Maori) Battalion, and a biography of a battalion member Bunty Preece. The Chatham Islander served with the battalion throughout the Italian Campaign in World War II. ​The battalion of infantry distinguished itself in the war, impressing Allied and enemy commands alike with its fearless fighting..
​It was thrown into some of the toughest battles and achieved some of the greatest victories but suffered heavy losses. 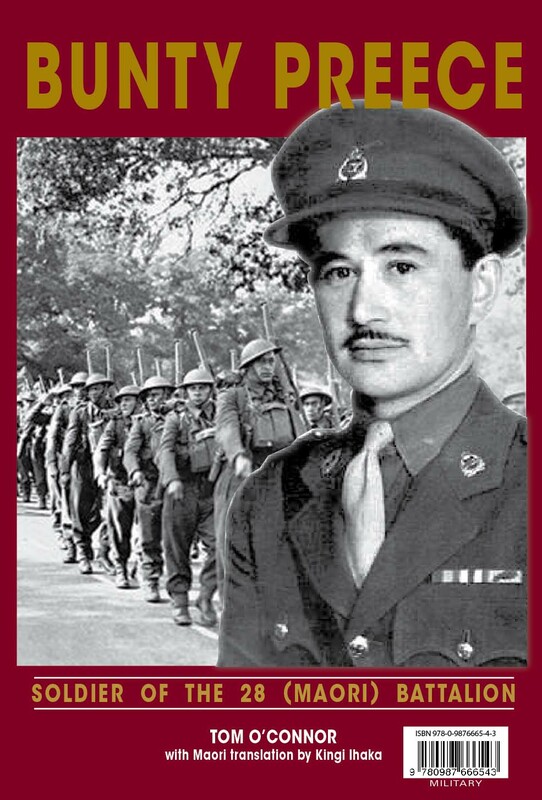 John Douglas Publishing director Bob Anderson said that it was appropriate the books should be released this week, as both were an attempt to keep alive the history and traditions of 28 (Maori ) Battalion.